Backyard kitchens aren’t only functional, they can enhance the look of your deck or patio. They can also increase the value of your home. A more permanent-looking cooking structure can even make a home feel larger. Tip: try to match the coloring/style of your outside cooking space with your inside kitchen – or at least with your outside furnishings. 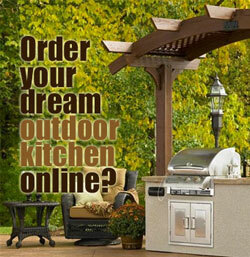 Find out more about surprisingly easy outdoor kitchens. An outside fireplace or fire pit is nice to have for a variety of reasons. However, many people don’t consider that it adds beauty and ambiance even when not in use! See more about how to build an outdoor fireplace. 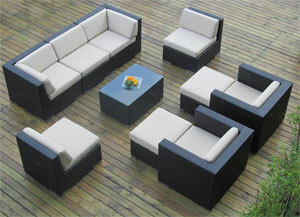 If you want to create a living room outside, you of course want to use living room style furniture. There are certain types that I prefer using, due to their versatility. Plus, when you get a “set” versus individual pieces, you can really cut costs significantly. 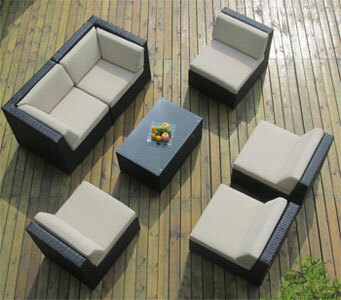 Find out more about outdoor sofa sets that turn backyards into rooms. See the top 3 multi-use patio bar sets. Just like the rooms inside a house, interior decorators look at 3 types of lights for outdoor spaces: overhead lighting, task lighting and accent lighting. 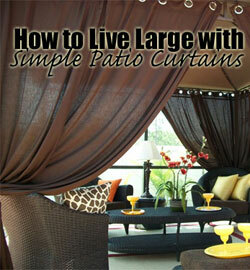 Do the same, and you can create a lot more usability and style in your outdoor room. Outdoor lighting is a no-brainer if you plan on entertaining in your backyard. At the same time, colorful outdoor string lights or eclectic chandeliers can be enjoyed from inside at night. That’s right, you can take an ordinary backyard and create a stunning nighttime light show that you can view every night. Find out more about lighting an outdoor room. You may have a nice-looking deck or patio, or think that outdoor rugs or mats are not worth your time, until you check out these pictures. It’s amazing how this often overlooked room accessory can even make your furniture look more expensive, comfortable and cozy! 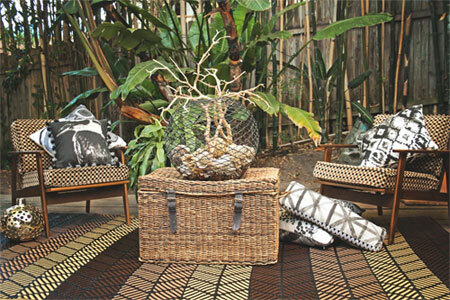 Here’s what to look for when shopping for area rugs.